I wrote this book on my dad because I was trying to get a better balance in my life between my relationship with my wife, my kids, with God, my friends, and work. The book is called A Good Man, because my father was a good man, and he found that balance. And after it was over, my daughter Molly said, oh, dad, I’m going to write a book about you when I get older. And I said, honey, that’s so cute and sweet. What are you going to call it? She said, An Okay Dad. So look, the bottom line is it’s a struggle. 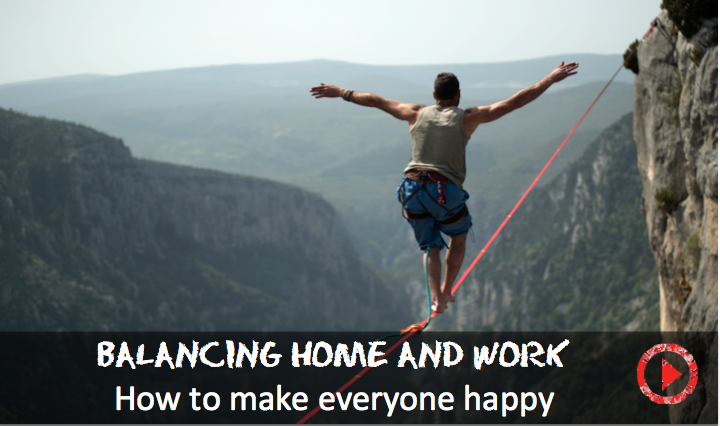 Finding the work-balance relationship is a daily struggle. I struggle with it. My wife Jeanie struggles with it. So I think it’s fine to acknowledge that we’re all struggling with it and to try to battle it every day. For me, anyways, it’s important to spend time with God, with my wife, with my kids, and with my work. And it’s hard. Some days I do better than others. But I think it’s okay to acknowledge that it’s a struggle. And it’s okay to acknowledge that some days you didn’t do as well as others.